In this session, we will explore the power and importance of storytelling in collaborative virtual environments with social VR/AR especially when critical decision-making is on the line: in healthcare, training, sustainability and in both B2C and B2B experiences. You will learn how VR storytelling is intertwined in the immersive narrative, and how AR storytelling for mixed reality can act as a container for your experience. We will explore how immersive experience can be made accessible. In the workshop, we will provide the opportunity to participate in Design Thinking activities to develop narratives for VR/AR. 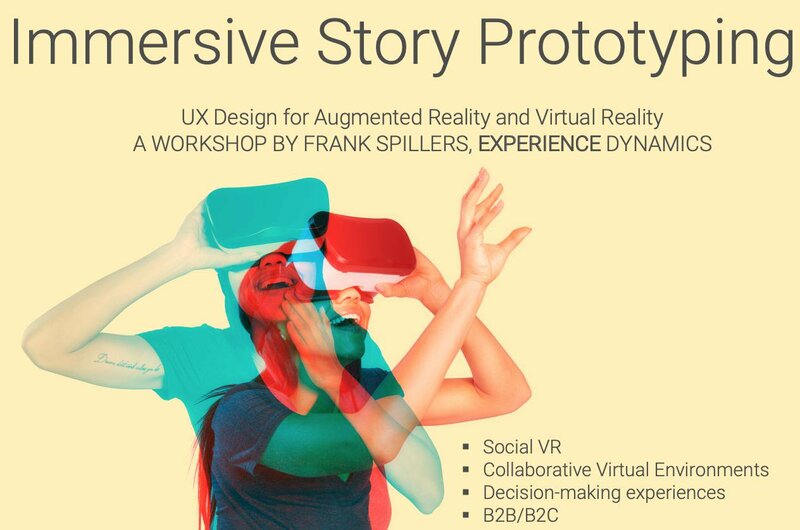 We will learn how storytelling can help you avoid boring interaction design, an engagement killer in VR/AR UX design. "This emerging technology provides an exciting opportunity to push the boundaries of experience design. However, this comes with a big warning. If your UX design is boring, you can seriously undermine user engagement. Storytelling is the way to boost your experience and retain your audience's attention and interest with your immersive content creation", said Frank Spillers, who also acts as VR Lab Director at Experience Dynamics. The workshop is being held in conjunction with the Interaction Design Foundation, a Danish non-profit providing high quality UX design training to over 150,000 designers globally for the daily cost of a cup of coffee. The event is currently SOLD OUT. However, Experience Dynamics hopes to make this event available for free online. Stay tuned for details or join our newsletter to stay up to date, when it is available.